London City Selection's portfolio has increased by five venues since its decision to request accreditation through AIM for its members in May. The Barbican-led initiative now has more than 20 members including venues and hotels including City Inn and Gibson Hall. 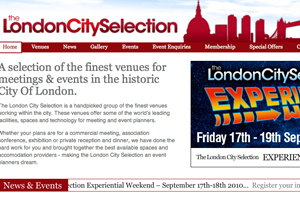 London City Selection (LCS) chair Samme Allen said: "The summer has been a time of real growth for the LCS. Since our announcement to request accreditation through AIM for our members we have seen a dramatic increase in enquires for membership. Venues are acknowledging the fact that accreditation ensures high standards across the selection."